A site for breeders, owners and lovers of Borzoi with links to many other Borzoi sites. An online web portal for borzoi fanciers including breed information. Pedigrees and lots of links. A website and journal dedicated for the enjoyment of the Borzoi fancy. Custom painted portraits from your photographs by artist Sally Fricker - Borzoi Club of Queensland Life Member. Specializing in pet portraits, pets with their people and animal breed art - Borzoi a specialty. Also offering affordable breeder website design. To the best of our knowledge this site is virus free, but we cannot guarantee that you will not obtain a virus or spyware through websites linked to this site. It is recommended that you run an anti-virus program on all material downloaded from the Internet. 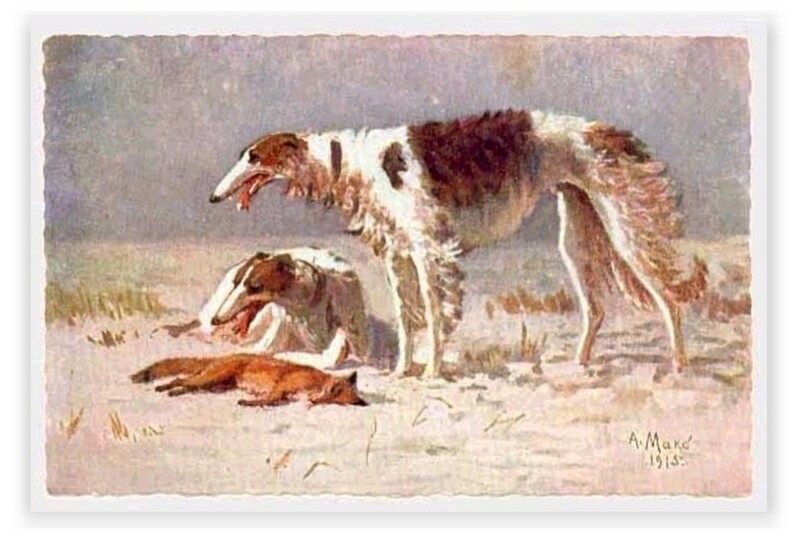 The Borzoi Club of Qld Inc cannot accept any responsibility for any loss, disruption or damage to your data or your computer system which may occur through any linked website, nor are we responsible for the content or reliability of external websites which are linked to from this website.